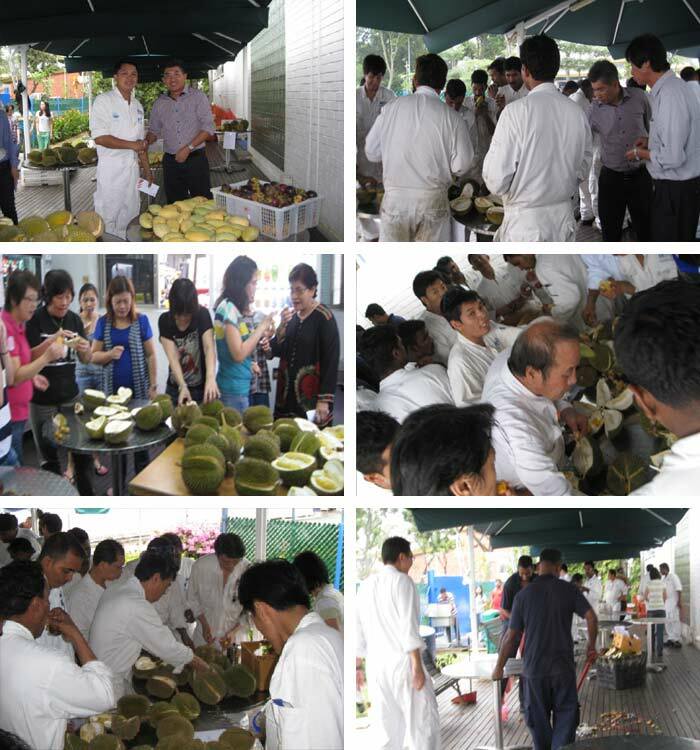 To celebrate Deepavali and Hari Raya Haji, MTQ arranged a buffet lunch on 9 November 2012. A presentation for the Staff of the Month Award was given out on that day too. Our Group CEO, Mr Kuah Boon Wee rushed back from Bahrain to join us. Food always bring people together. In addition to our weekly fruit day, we organised a fruit’s day event on 7th September. We brought in different variety of seasoned fruits such as durian (King of fruit), mangosteen (Queen of fruit), longan and mangoes. During this time, we also took the opportunity to reward our Employee of the Month. These are all part of our efforts to promote team work and spirits in the company. 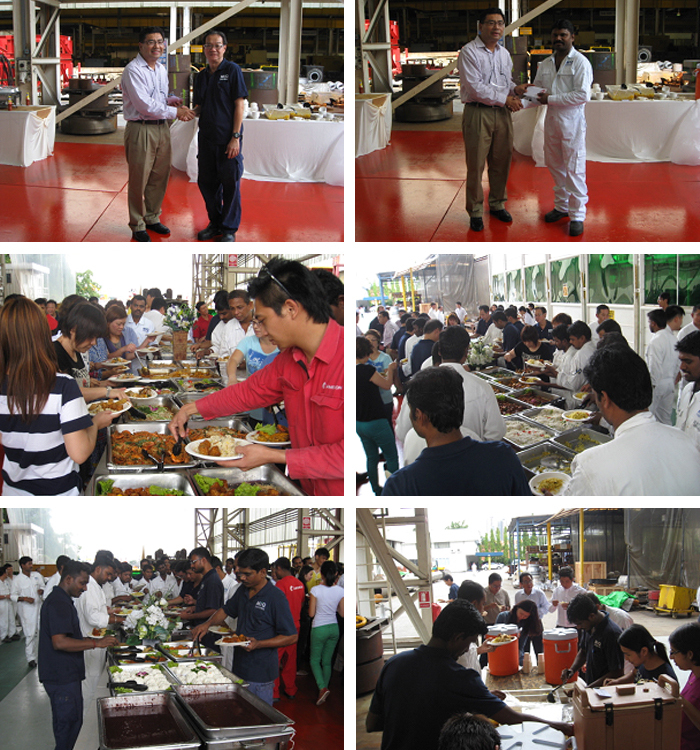 In celebration of Eid Al Fitr in Bahrain, MTQ organised a "EID Buffet Lunch" for all employees in Bahrain. It is a time for celebration after Ramadan. This is also the 1st year where all staff get together to celebrate at the same time. All, through the following pictures were having a good time as well as enjoying the variety of buffet spread.